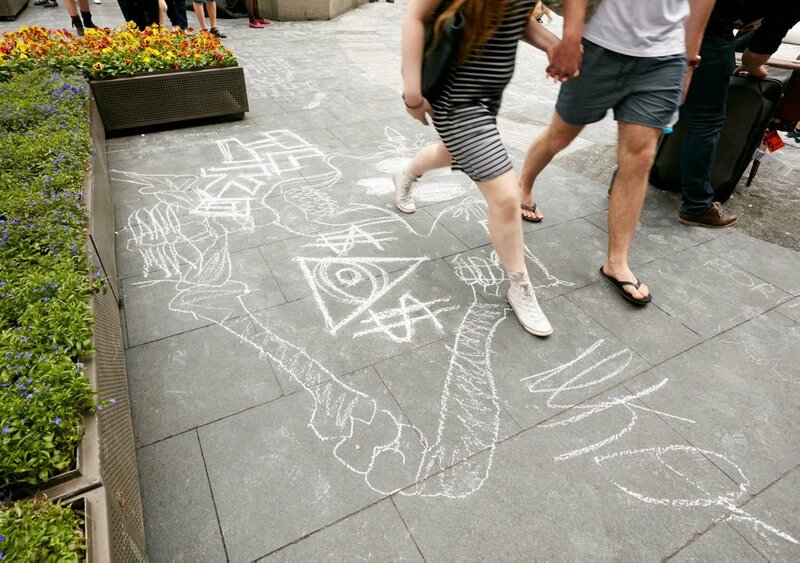 What would you do if you came across human-sized pieces of chalk lying on the sidewalk? 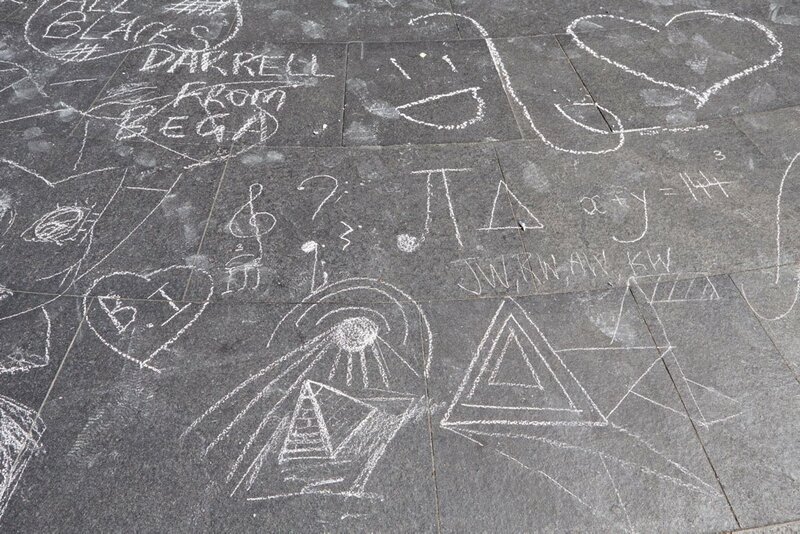 Would you pick one up and draw, or write what’s on your mind? 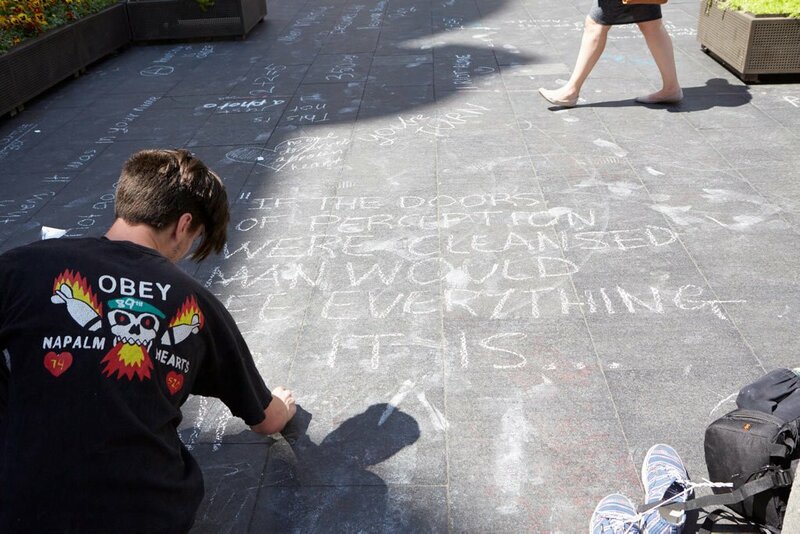 Well, on Saturday 10 October 2015, that’s exactly what a whole host of Sydneysiders did, at an amazing event that became a highlight of this year’s Art & About. 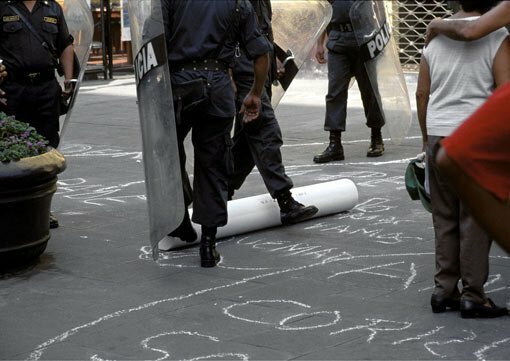 Chalk is an on-going participatory art project, first installed in Lima, Peru in 2002, which has since travelled the world. In each new location – be it Boston, Paris, New York or now Sydney – the character of the work shifts a little in response to the local political and social atmosphere, becoming a portrait of the city in which it is installed. 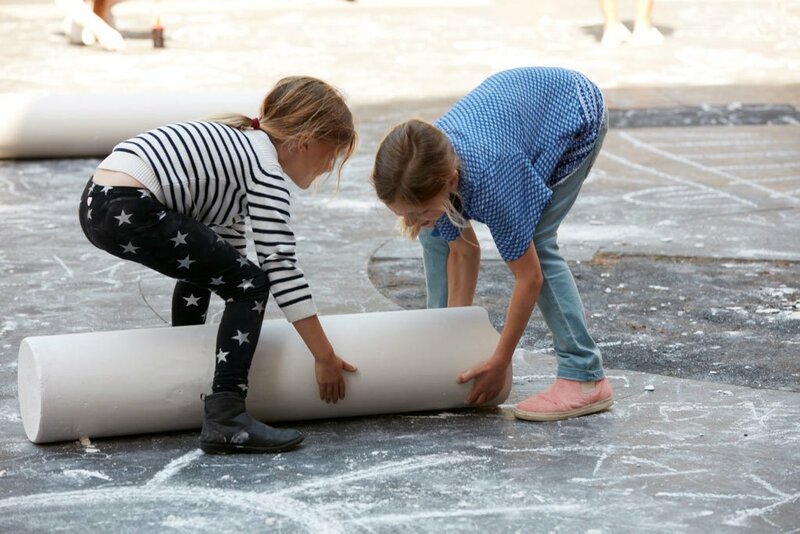 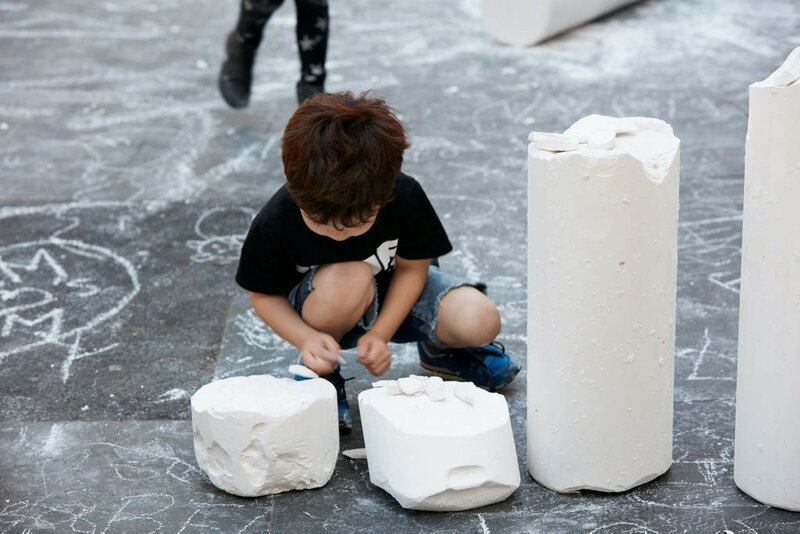 For the internationally renowned artist duo who created this project, Jennifer Allora and Guillermo Calzadilla, their giant chalk sculptures act as catalysts for people to engage with their city. 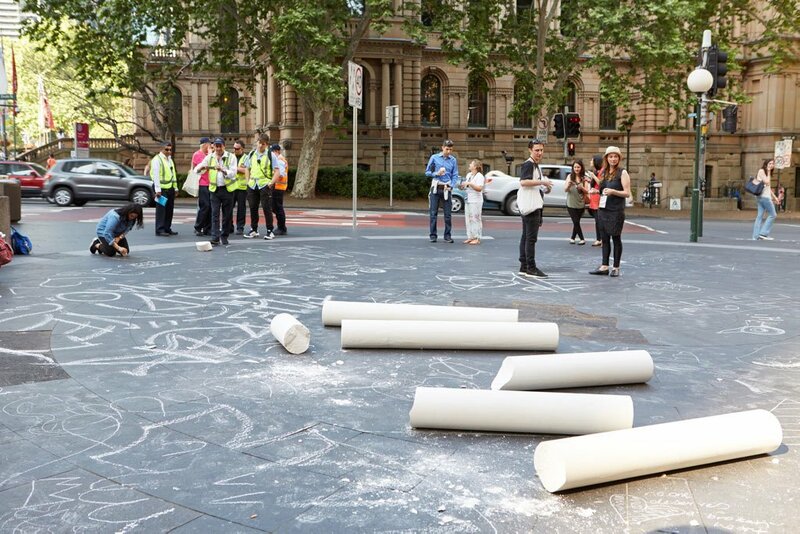 The giant pieces of chalk, each measuring 20cm in diameter and 163cm in length, call out for public attention and for action. 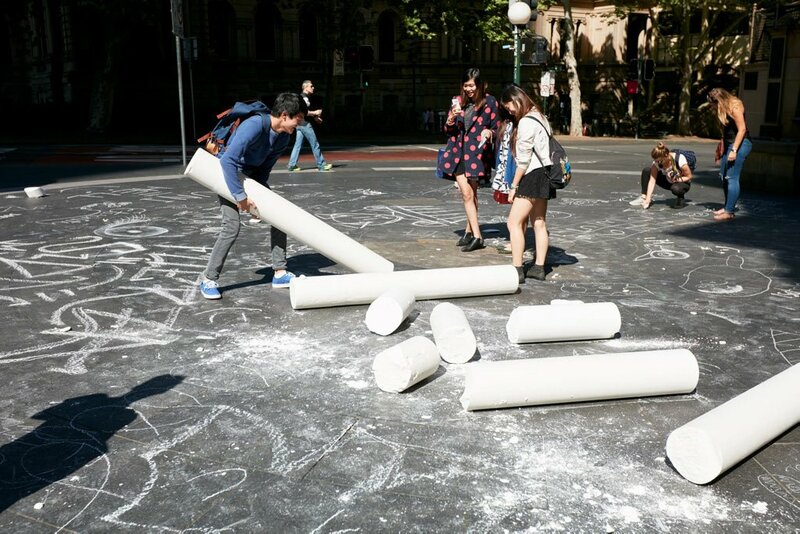 As tools for writing, they represent the potential for communication by an individual, but because they take place in a shared space, and can require a number of people to hold them, the action also becomes a collective one. 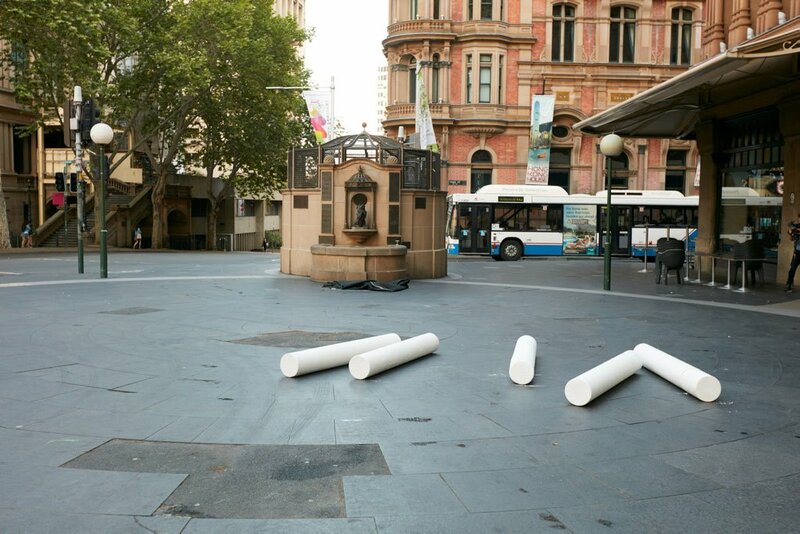 Sometimes that action is political as well as social. 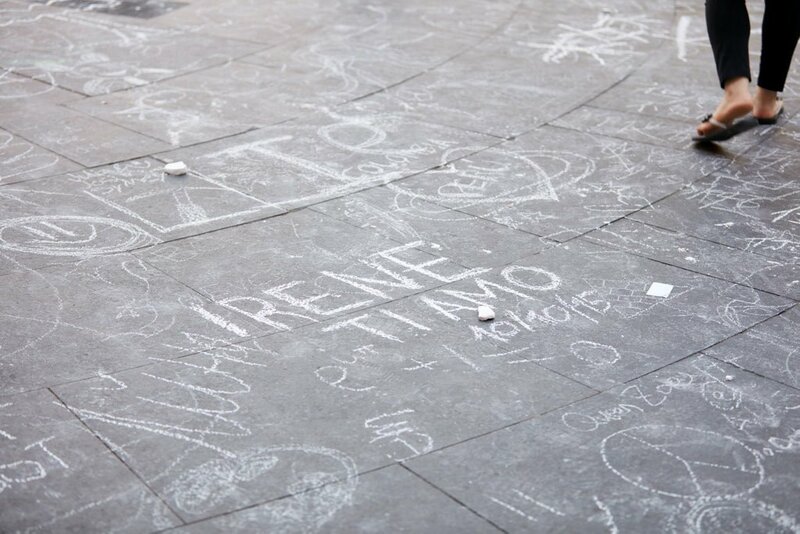 The first installation of Chalk took place in a public square in Lima as part of the 2002 Bienal Iberamericana. 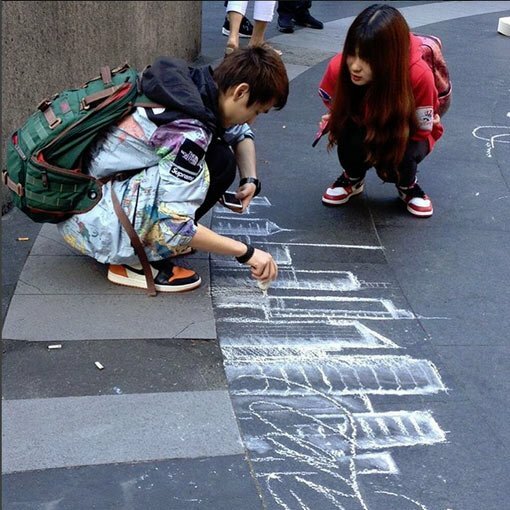 At first, people used the chalk to doodle and play, but this soon gave way to them making statements protesting government corruption and unfair labour practices. 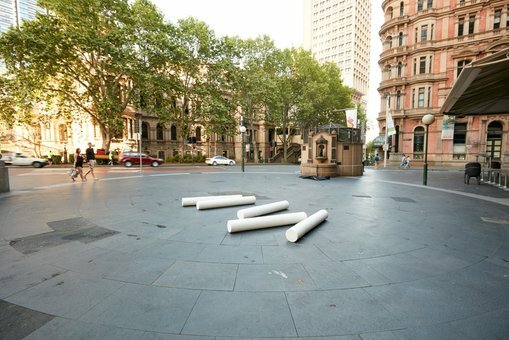 After three hours, police arrived on the scene and put a premature end to the performance. 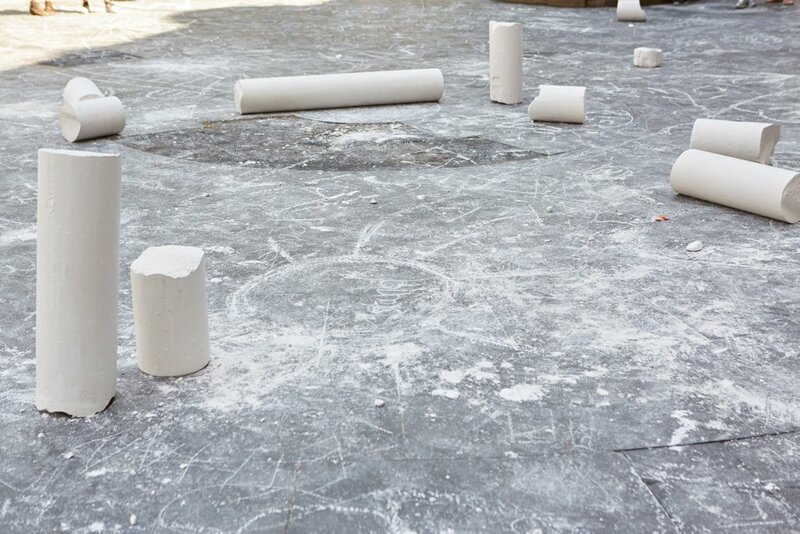 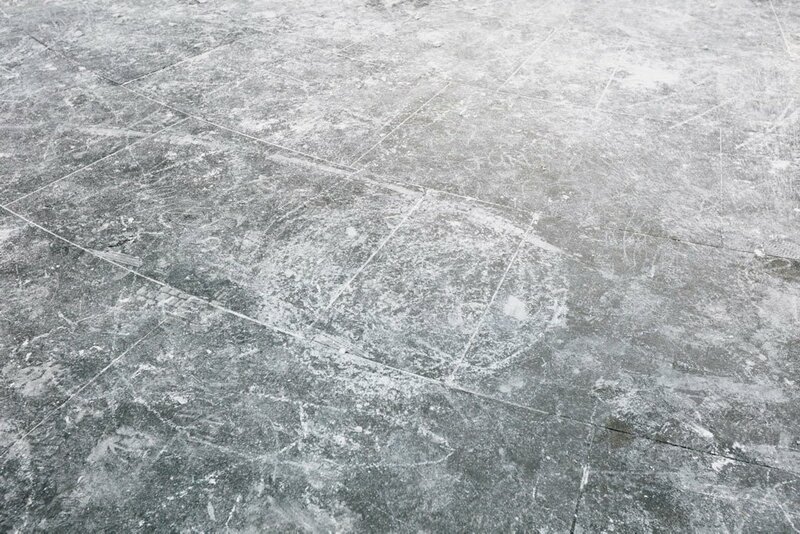 Allora and Calzadilla are known for such provocative and socially engaged artworks. 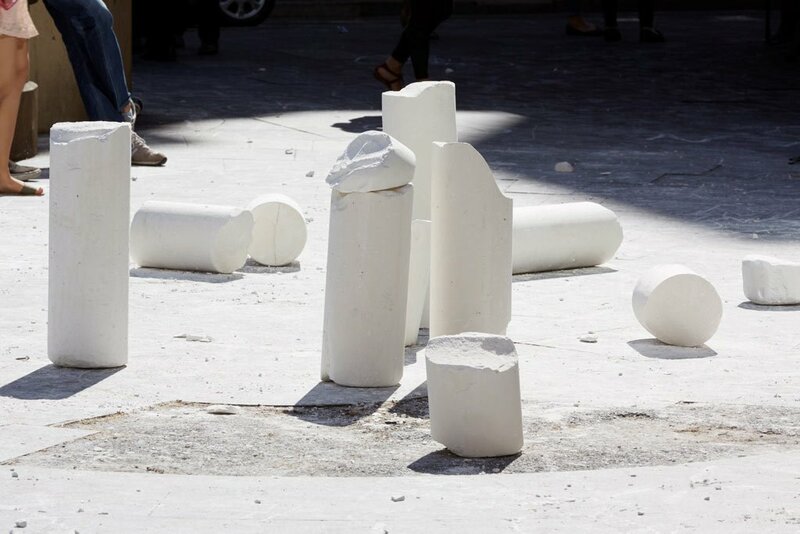 Working together since 1995, they live and work in Puerto Rico, a country with a complex post-colonial relationship to the United States and one that informs their practice. 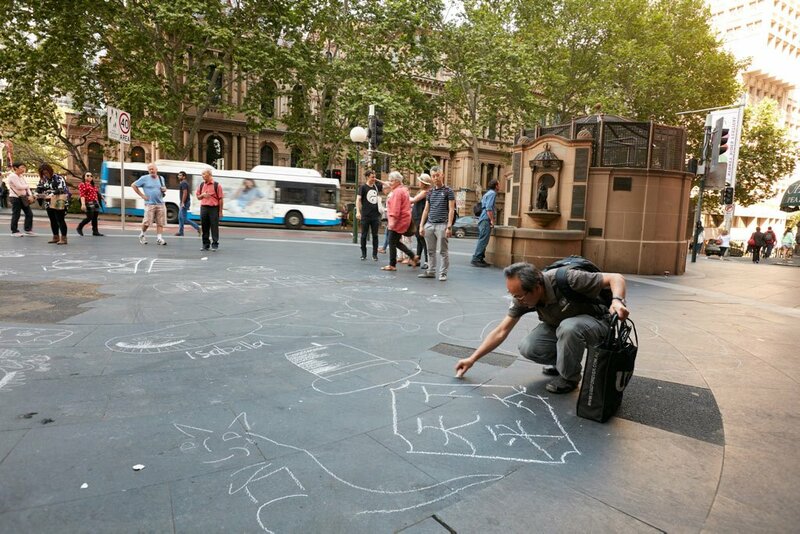 The Sydney iteration of Chalk took place in the forecourt of the Queen Victoria Building, on the corner of Druitt and George Streets, a popular public square with an important history of public demonstrations, where hundreds of people engaged communally in a textbook display of democracy at work. 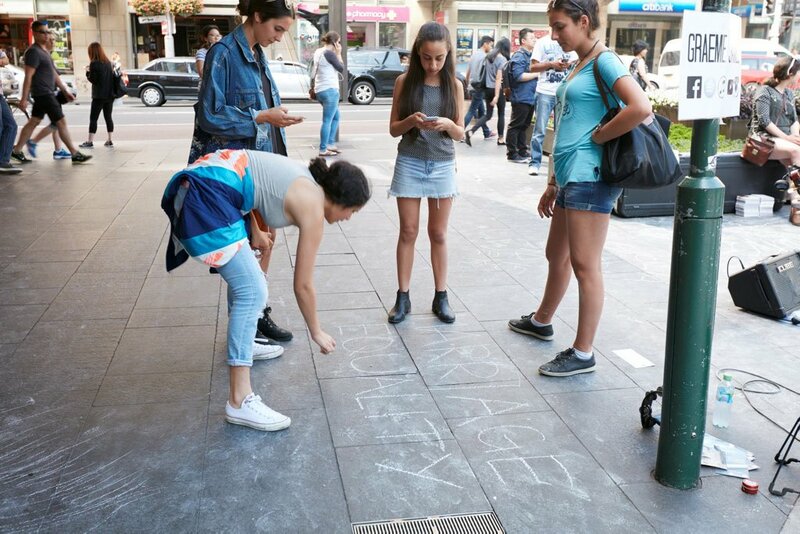 But in typical Sydney spirit, it also simply became a lot of fun: with a popular children’s section and enlivened by a busker who decided to accompany people’s thoughts with renditions of Massive Attack, it was Sydney in party mode. 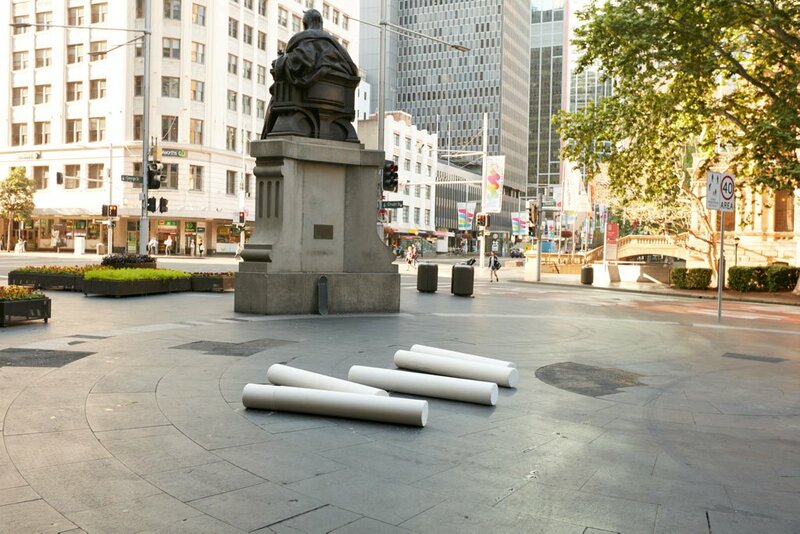 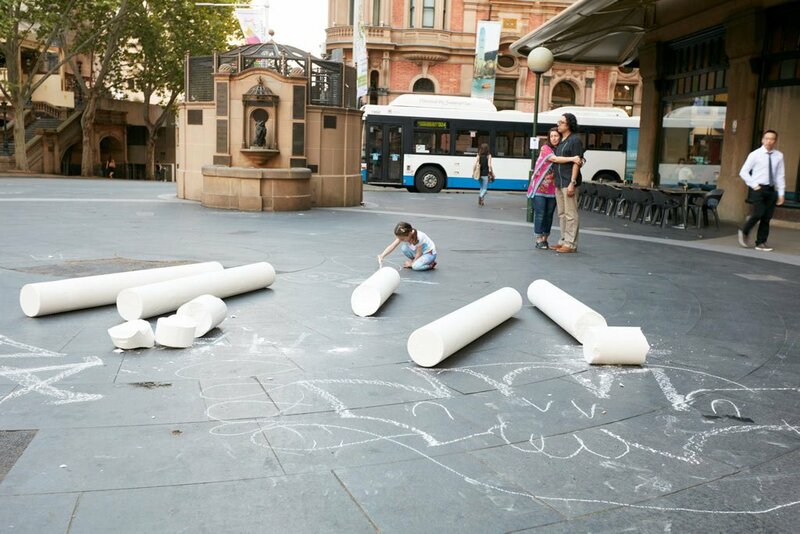 Chalk was presented by Kaldor Public Art Projects and the Art Gallery of NSW in conjunction with Art & About. 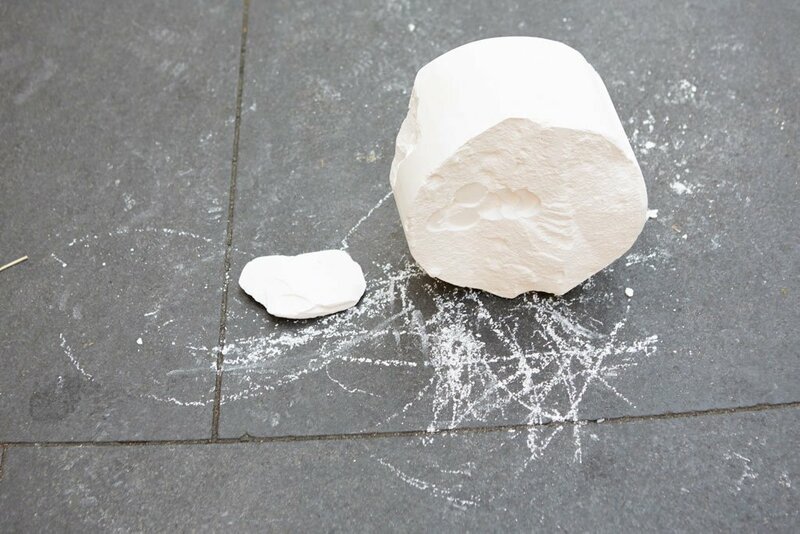 The project coincides with an exhibition at the Gallery – Seven artists from the John Kaldor Family Collection – until 26 April 2016, which includes objects related to the work. 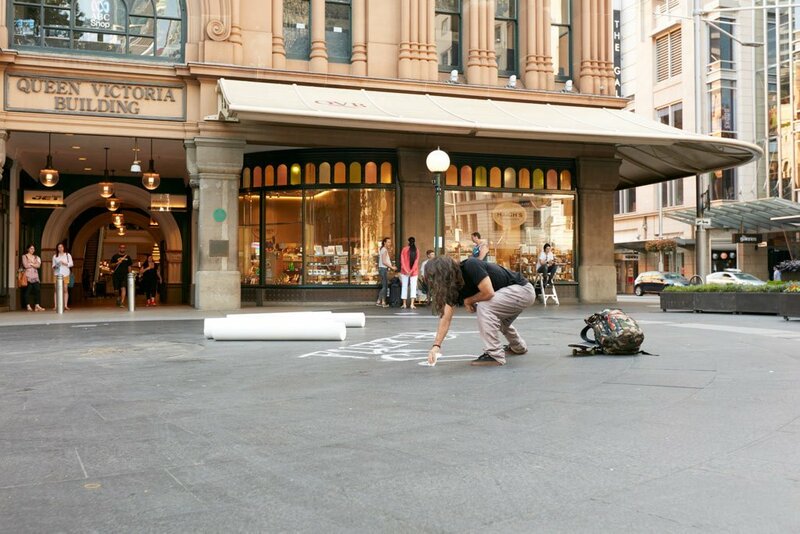 Browse photographs taken at Chalk in Sydney – click on one of the small images to begin the slideshow – and watch a short video of the day.